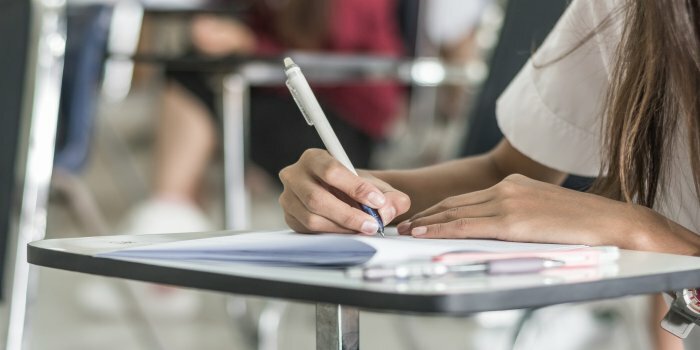 NTSE Assam 2019 - Director Of Secondary Education Guwahati, Assam has released the revised NTSE Assam result on April 12. Earlier the result of NTSE Assam was declared on March 8, 2019 for the NTSE Assam 2019 exam was conducted on November 4, 2018. The NTSE admit card 2019 for the exam were available on the official website from October 22, 2018, and candidates could download the same online. To be eligible to appear for the stage 1 exam, general category students had to score a minimum of 40% in their 9th standard. The application process of NTSE Assam 2019 started from September 15, 2018. The last date to submit online application form was October 10, 2018. The National Talent Search Examination(NTSE) Assam is the first level of the talent search examination conducted by the State Council of Educational Research and Training (SCERT) in the offline mode and students who qualify this exam will appear for NTSE stage 2 on June 16, 2019. In the first stage, contestants are chosen for the national level through two vigorous tests- MAT( Mental Ability Test) and SAT (Scholastic Aptitude Test). The national level of NTSE 2019 is conducted by National Council of Education Research. The purpose of this competition is to search for talents in biology, chemistry, English, Mathematics and Physics dispersed throughout the country, its states and its union territories. Below is the table comprising dates of NTSE Assam 2019. The revised result of NTSE Assam 2018-19 has been released on April 12. 2019. Earlier the result of NTSE Assam 2019 was out on March 8, 2019. The result is published online in the form of merit list containing the name of students who qualify in the first round. NTSE Assam result mentions details like candidate’s name and roll number, marks obtained in MAT, SAT and the total score. After this, stage 2 examination of NTSE will be conducted for the selected candidates of the first stage. The result of NTSE, 2nd stage for awarding scholarships is expected to be announced in the month of September 2019 by National Council of Educational Research and Training. NTSE Assam Cut off is the score required to get through the first level. Below is the list of cut off marks for 2017-18. Students can get some ideas about the approximate cut off marks based on the table. Students studying in Class X in Govt./Local Body/Govt. Aided school /private school were eligible to appear in the examination. In their 9th standard, candidates from the general category should have scored 40% in each paper while SC, ST, PH should have scored 32%. NTSE Assam 2019, conducts two tests on the first level. Here’s a step-by-step instruction for the students on how to apply for the first stage of NTSE Assam. Step 1: Students must click on the link given to fill NTSE application form for Assam stage 1 exam. e) Scanned copy of candidates disability certificate( Disabled candidates). Step 3: Download and print the Declaration by the Gazetted Officer and get it filled up by the head of the institution/ Gazetted Officer. Scan the same and keep it ready while online form submission. Step 4: Fill the application form carefully and upload scanned photograph and signature(Size of photograph and signature should not be greater than 35kb and 30kb, respectively. The photograph and signature should be either in ‘.jpeg’, or ‘.jpg’ format). It should be written without cap or goggles, spectacles are allowed. Candidates not complying with these instructions or with unclear photograph are liable to be rejected. Step 5: Please remember the password given to you. It is important for further login. Call the helpline no. 09769199421(Monday to Saturday: 10 AM to 6 PM). Step 6: After submitting the online application form, you should take SBI bank E-challan printout which is in two parts. You can log in with your password and take a printout of your online submission form after successful payment. Step 7: The applicant’s email-id and mobile number will be used for further communication. Admit Card was available to the students for NTSE Assam 2018-19 after October 20, 2018, on the official website of Board of Secondary Education, Assam. The candidate could download his/her admit card by putting his/her name. Please note, any candidate who fails to provide the information required, admit card would not be issued against that student. Verbal reasoning test: alphabetic test, analogy, analytic reasoning, arithmetic reasoning, blood relations, coding-decoding, direct sense test, fill in the blanks, word sequencing, Venn diagrams, questions on direction, word problems, clock problems, series completion test, truth verification, hypothetical situations. Non-verbal reasoning test, questions will be based on: analogy, analytic reasoning, dot fixing situation, classification, embedded figures, folding/ cutting paper, complete the figures, mirror images, problems on cubes and dice, transparent paper folding, water images. Mathematics: algebra-expressions, arithmetic progression, basic geometry, circles, coordinated geometry, direct & inverse variations, exponent, linear equation, number system, probability, quadratic equations, simple & compound interest, square root and cube root, triangles, trigonometry, statistics, surface area and volume. Science: acid, bases and salts, air, carbon and its compounds, cellular level of organisms, diversity in living organisms, fibers and plastics, food production and management, light, magnetism & electricity, evolution, measurement, metals & non-metals, environment, periodic classification of elements, physical & chemical changes in matter, source of energy, structure of an atom, water. History: culture, science, & literature, early medieval period, Indus valley civilization, introduction of ancient Indian history, Jainism, Buddhism, and conquerors from other countries and nations, medieval architecture and culture, national movement, new empires and kingdoms, popular movements and social reforms, revolt of 1857, the Mauryas, Mughal empire, Vedic period. Civics: democracy, diversity and livelihood, economic presence of the government, India & its neighboring countries, state government, judiciary, UN & other international agencies, Union government. Geography: agriculture, atmosphere, industries, internal structure of earth and rocks, major domains and land-forms, maps and globe, motion of the earth, natural vegetation, environment of India, resources and development, solar system. Preparing for NTSE Assam and successfully cracking it requires covering material from both text and out-of-syllabus books. But if you look at the question pattern that has been prevalent in NTSE Assam examination for past few years, it can give you an idea about the framework which you need to follow to successfully crack the NTSE Assam. To prepare for NTSE Assam students must refer to the syllabus mentioned in this article. NTSE Assam Answer Key is the compilation of correct answers that are published by various coaching centres online. The official Answer key of NTSE Assam is not published on the official website. The unofficial answer keys are usually available for the students online after few hours of examination. NTSE scholarships are distributed to the categories fixed by the government norms. ST, SC and Physically handicapped candidates would be granted reservation as the table below suggests. Please note, the state quota for Assam was 89 since the last year, but for this year it may change due to the increase in the number of NTSE scholarships. The result of NTSE Assam has been published on April 22, 2019. Successful candidates of stage 1 will go compete in the next level which is NTSE, stage 2. NTSE, stage 2 would be conducted on June 16, 2019. The result of stage 2 examination will be released by the second week of September 2019. The amount of money successful candidates of NTSE, stage 2 would be granted to is as follows.